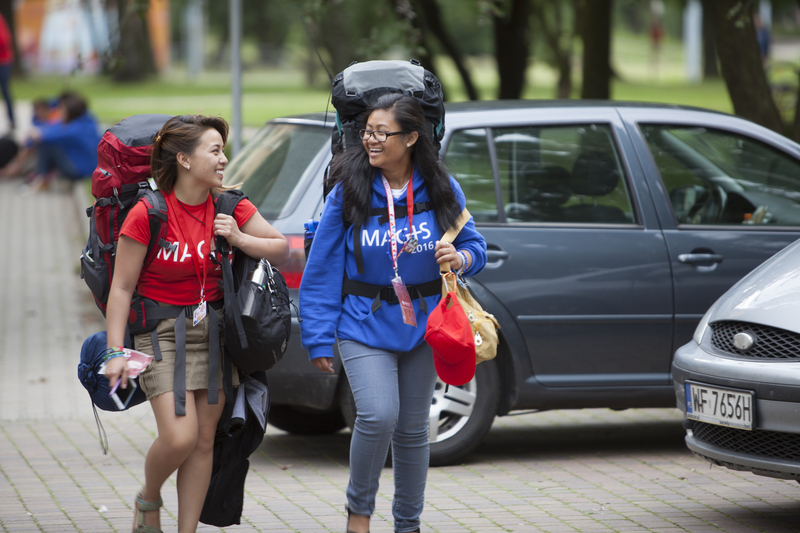 July 17, 2016 — After a frenzied three days of singing, dancing, prayer and new friends, pilgrims attending the international immersion experience MAGIS have brought the first stage of the program in Łódź, Poland, to an end. 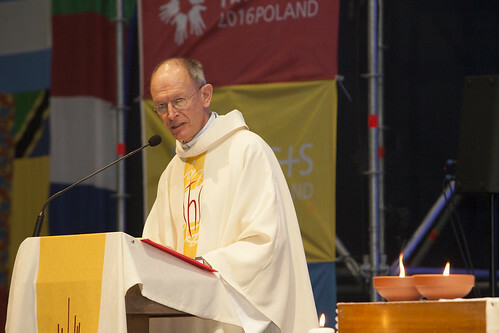 But the bulk of what they came for — the service, intercultural dialogue and deep introspection — will continue as they now embark on “Ignatian experiments” across Poland, the Czech Republic, Slovakia and Lithuania. 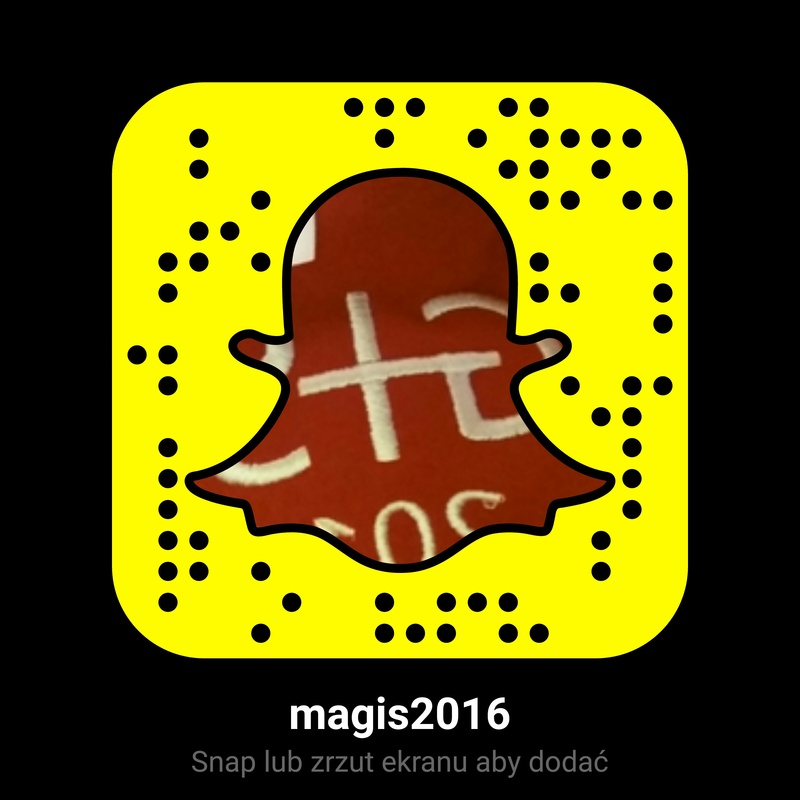 These “Ignatian experiments” consist of activities loosely based on the life experiences of St. Ignatius of Loyola, founder of the Jesuits. 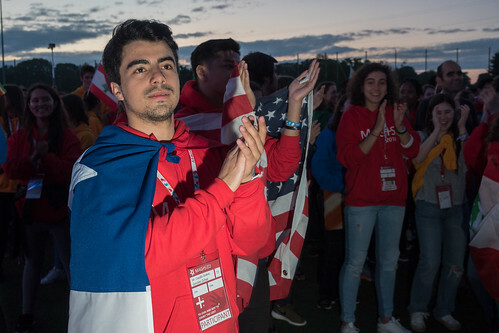 After a morning prayer, breakfast and sending-off Mass in the outdoor stadium at the University of Łódź where all 2,200 pilgrims had gathered, participants were split up into 97 different experiment groups to travel by bus or train. 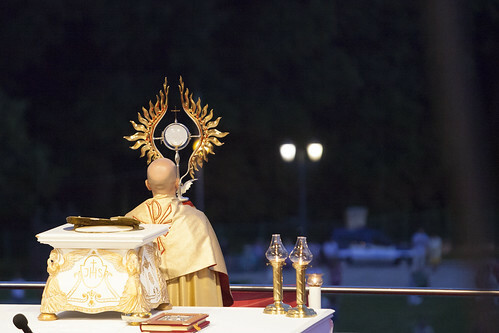 They will next regroup in Częstochowa, Poland, for a pilgrimage to the shrine of the Black Madonna, Our Lady at Częstochowa, and to share with each other the stories of their experiences. 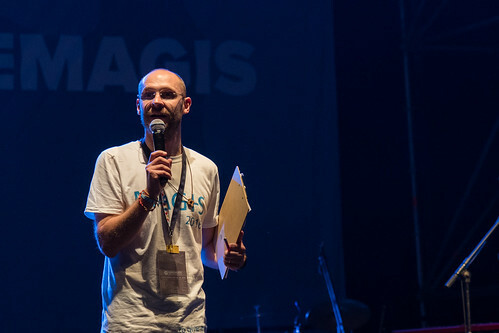 The experiments were designed with the theme of this year’s MAGIS program in mind, “To give and not count the cost” (a line from St. Ignatius’ prayer for generosity). 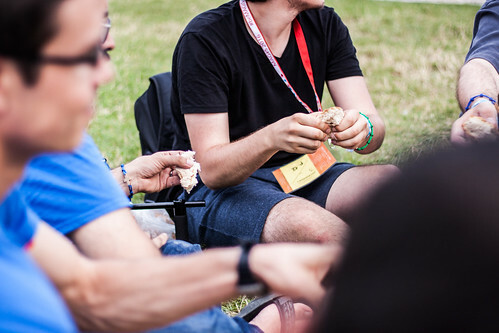 During the registration process, participants were asked to choose among several major experiment categories. 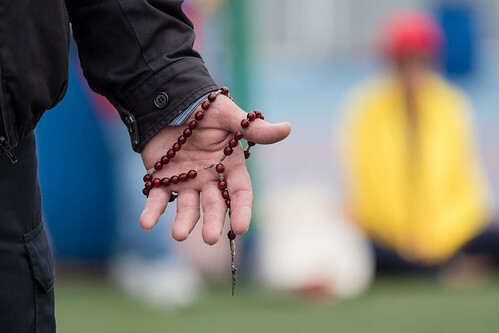 Pilgrims who selected the pilgrimage option will embark on a four-day hike to various religious sites, and those who chose the service option will minister to others in cooperation with partners of the Society of Jesus and in care for the environment. 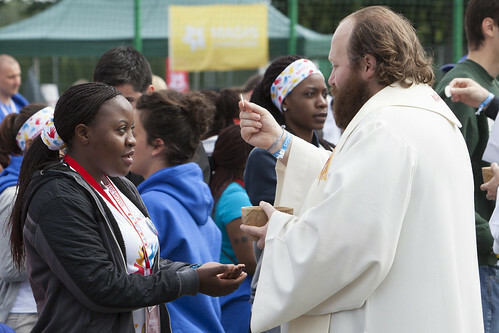 Hannah Joakim, a pilgrim from Kenya, will be doing a service experiment in Poznań, Poland. 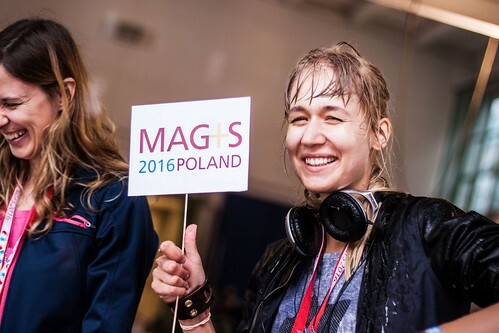 “I am so excited with this experiment because when I look at the theme of MAGIS this year — to give and not to count the cost — I’m really excited to help with the charity and work with the people in Poznań,” she said. 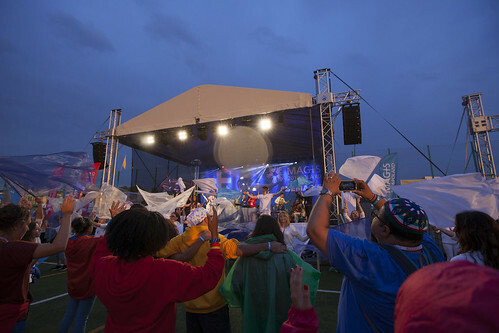 Spiritual category participants will explore deep prayer through different Christian traditions. The sociocultural category will focus on engagement and dialogue with diverse religious, cultural and social groups, and the artistic category will stimulate creativity through folk art, architecture, painting, iconography, acting, music, singing and other forms of expression. 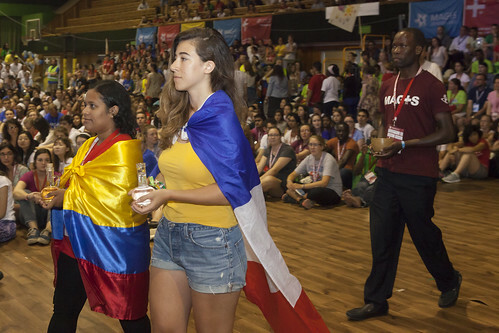 learn about self-awareness and how to be a great leader,” said Evalin Karijo, another pilgrim from Kenya. Bella Tjok, from Indonesia, wished to combine spirituality and art. “I hope during the experiment, through art and music, God grants me the grace to listen His voice and what He wants for my life, and that I have enough courage to follow His will,” she said. prayer, service, Mass, small group sharing, and an Ignatian daily examen, or personal reflection on the events of the day. 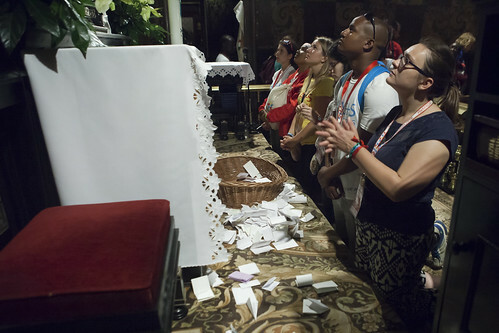 Each group consists of 20-25 pilgrims of diverse nationalities, a leader and a Jesuit priest. At the close of MAGIS in Częstochowa, participants will journey on to World Youth Day from July 26-31 in Kraków, Poland, where they will become part of a group that could potentially number up to 3 million people, all who will Mass with Pope Francis, the first Jesuit pope.